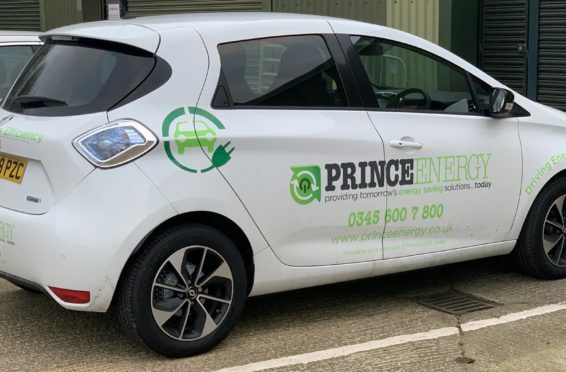 As part of on-going efforts to work more sustainably and reduce the carbon footprint of its operations Princebuild has recently invested in a Renault Zoe electric vehicle. The vehicle is based at the Peterborough head office and is available to all employees to use for attending meetings, visiting sites or travelling between offices. The Zoe is a very practical and comfortable vehicle with space for the driver and up to four passengers, there is ample headroom in the front and rear for taller drivers, meaning that car sharing for meetings can comfortably be accommodated. In addition the vehicle can deliver up to 186 miles driving range (WLTP Figures) allowing staff to comfortably reach most central sites and offices without having to stop and charge. For charging the vehicle, 22KW quick charge charging pods have been installed at Peterborough, Gosberton and Northampton branches so the car can be charged conveniently at any location from 0-80% capacity in just 1 hour 40 minutes. 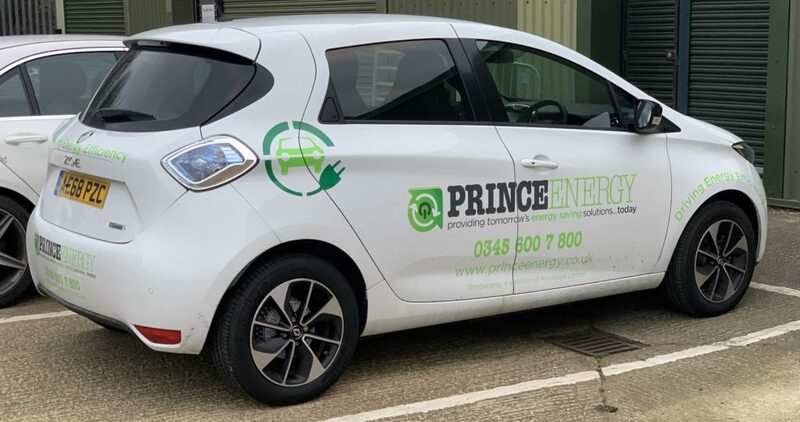 With 0% emissions into the environment and low running costs the vehicle is ideal as a promotional vehicle for our Princeenergy Division promoting renewable energy solutions and the car has been liveried in the Princeenergy branding. It is hoped that further electric or hybrid vehicles will be added to the fleet in the future.